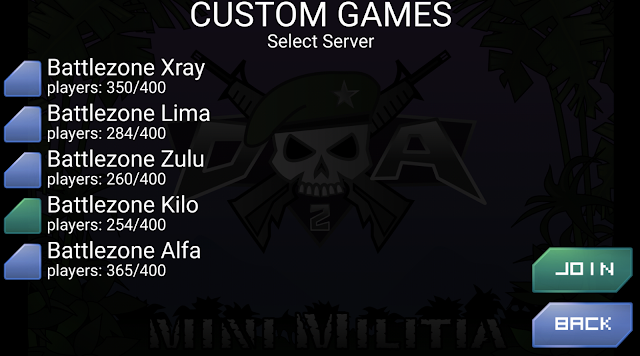 How to play Mini Militia with your Custom Whatsapp friends Online? Mini militia is one of the best multiplayer shooting games. It allows you to play with your friends either via wifi hotspot or online. 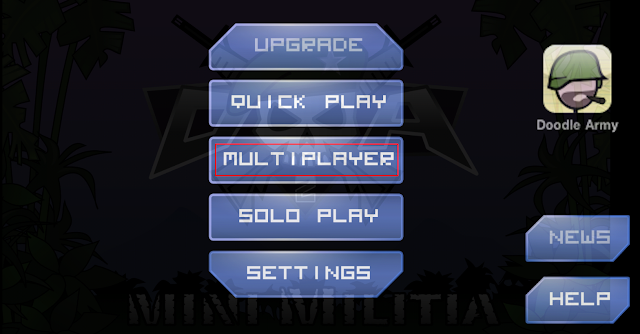 Many of you would have know about quick play option in mini militia, which allows you to play online. One common thing that people feel about online play is that, you would need to play with the strangers. Also some of the people would play mini militia hack version, which is quite annoying. So here comes the ultimate solution for it. You can now play with your known friends online via custom play. In this post we have added the step by step tutorial to play this awesome game with your friends. 1. Create an online group (whatsapp / facebook / hike) with the friends you wish to play. 2. Make sure all of your friends are available online for the combat. 3. Now you ought to setup the custom play. For that open the game and choose Multiplayer. 4. Next select Custom option. 5. 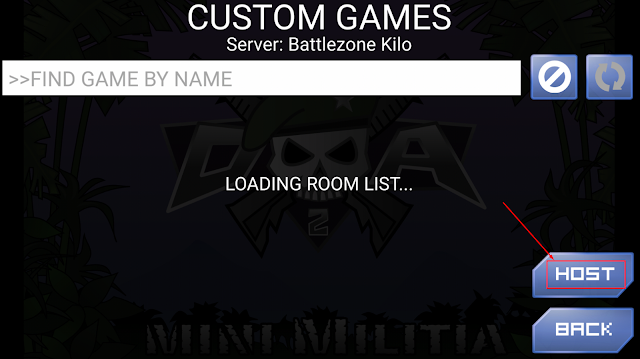 Now a list of available servers will be loading. 6. Pick any one of the server from the list. In my case I have chosen "Battlezone Kilo"
7. On selecting JOIN you will end up in a page where you need to host a new game. 8. Selecting "HOST" it will prompt you for a NAME of the game. 9. Give some custom name which will be easy to share with your friends on the group. 10. Once done you will now be able to see the game play dashboard. 11. It's all set now. It's time to ask your friends to join the play. Just go to the group which you created with your friends and share the server name and the name of the game which you hosted. 12. Once everyone joins start enjoying the play. 13. In order to avoid strange people you can also protect your game with "Password". 14. To do so, just tap on the Lock symbol at the bottom right of the screen. Then enter a custom password of your interest. 15. 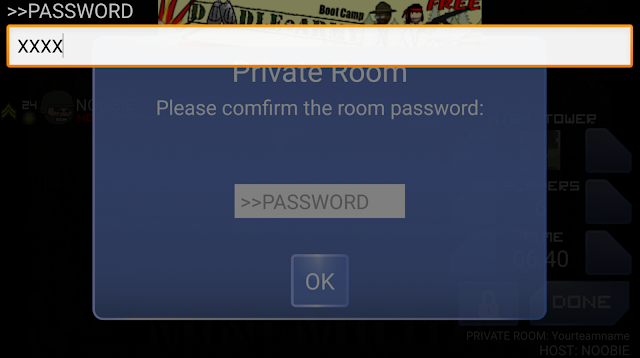 You may share the password with your friends to avoid strangers in your game play. Hope you all would like this detailed post on "How to play mini militia with your friends online?" Feel free to comment if you have got any issues on these steps. When i host game all player can kill me but i cant kill them...Please help me..